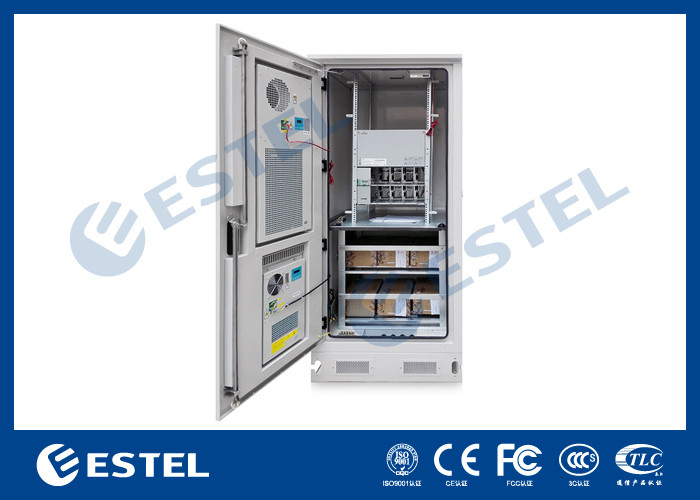 ESTEL’s Energy Saving Integrated Cabinet provides complete solutions for outdoor working environment and safety management of telecom base station. As a base station, it can integrate the main equipments, system power supply, AC and DC power distribution, environment monitoring, batteries, lightning protection and grounding devices. As functional cabinet (battery cabinet, power supply cabinet, transmission cabinet etc. ), it can help telecom carriers to realize easy station obtaining, energy saving, fast deployment. ESTEL’s Energy Saving Integrated Cabinet has multiple temperature control solutions (precise air conditioner, heat exchanger, straight ventilation), and provides corresponding temperature control solutions for different cabinet compartment, in order to better realize energy saving and exhaust reduction. This cabinet is one compartment cabinet. The cabinet cooling use air conditioner and heat exchanger, to ensure the equipments operate normally at stable temperature range, so as to make the service life of the equipments much longer and their performance more stable. 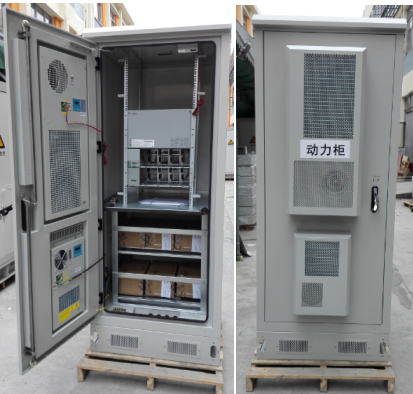 The DDTE080 Outdoor Telecom Cabinet is suitable for outdoor environment, such as road side, park, building roof, mountain area, flat ground, etc. The cabinet can be installed with base station equipments, power supply equipments, batteries, temperature control equipments, transmission equipments and other equipments, or the cabinet can reserve installation space and heat exchange capacity for the above equipments, providing reliable mechanical and environmental protection for normal operation of the internal equipments. 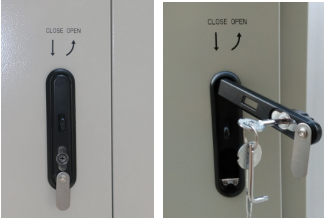 (1)The cabinet is dustproof, sunproof and rainproof, which is used in outdoor environment. 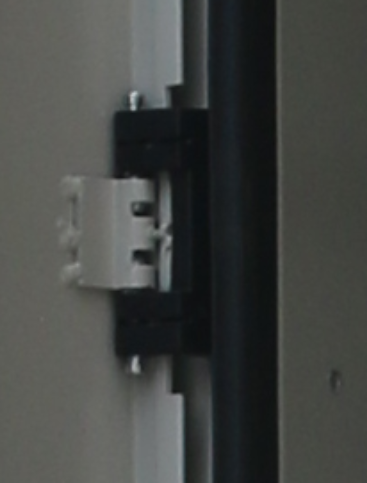 (3)The cabinet has reasonable layout, which will facilitate cable access, fixing and grounding. There are entrance holes individually for power cable, signal cable and optical cable. 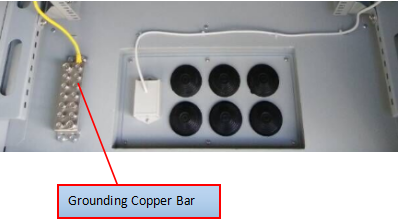 (4)All the cables used in the cabinet are made from flame retardant materials. (5) There are heat insulation between inner wall and outer wall. The insulation material is 20mm PEF. (1) Surface treatment: degreasing, derusting, rustproof phosphating (or galvanizing), powder coated. 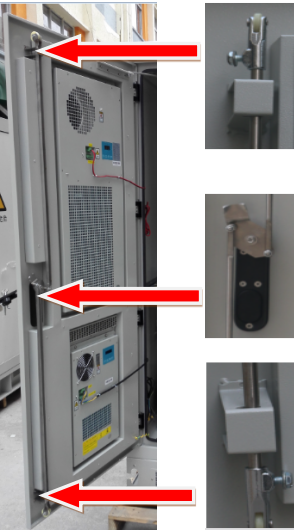 (3)Insulation resistance: the insulation resistance between grounding devices and cabinet body parts is not lower than 2×104M/500V(DC). (4)Withstand voltage: the withstand voltage between grounding devices and cabinet body parts is not lower than 3000V(DC)/1min. (5)Mechanical strength: each surface can bear upright pressure >980N; after the door is open, its outer end can bear upright pressure >200N. 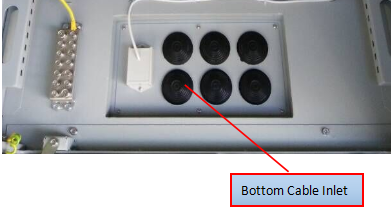 (6)LED lamp, LED lamp sensor and door sensor are installed at the top of the cabinet. (7)Telecom power system is installed on 19” rack. (8) The cabinet includes one air conditioner and one heat exchanger, installed on front door. 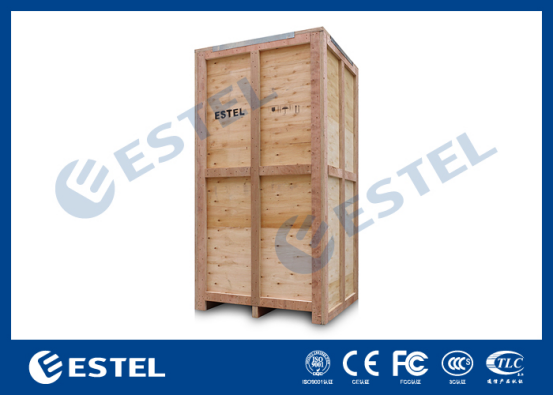 (9) The cabinet includes rubber base plate, for installation on transport telecom tower trailer.